Icons offer a form of visual shorthand that we are all familiar with. They can label, inform and aid navigation quickly and effectively in minimal space, which makes them highly useful in limited digital environments and in diagrams, maps and other forms of visual communicaiton. 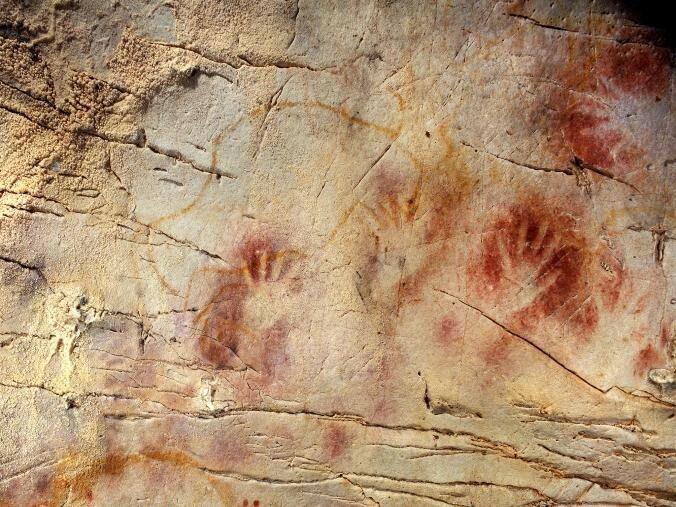 For over 40,000 years humans have communicated using symbols and pictures, long before any form of written language was developed. Pictorial symbols are at the core of ancient Egyptian hieroglyphs and Chinese characters and even the modern phonetic alphabet. Today the world speaks around 7000 languages and countless dialects. The one language that transcends these boundaries is not made up of words but images. 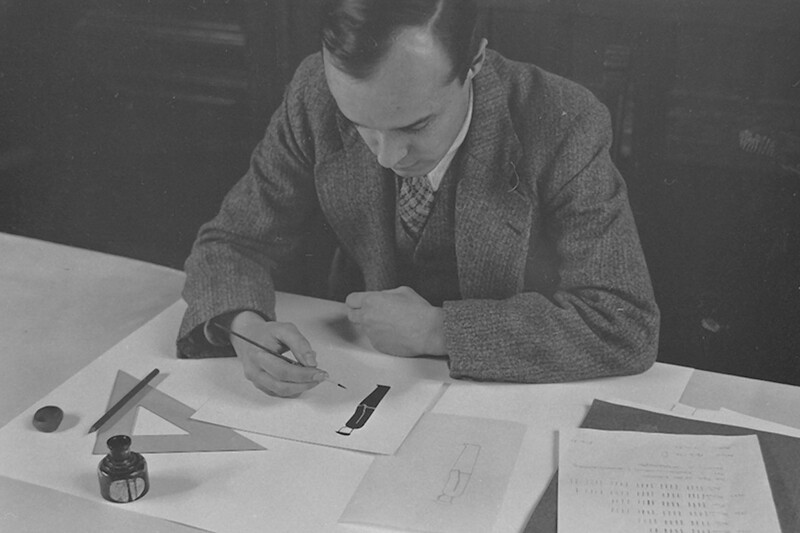 In the 1930s the economist and social scientist Otto Neurath (1882-1945) commissioned the graphic artist Gerd Arntz (1900-1988) to develop Isotype, the International System OF TYpographic Picture Education. In addition to the acronym though an unlikely coincidence, the word Isotype is Greek for ‘the same sign’. The creation of Isotypes was born from Neurath’s belief that the world needed a unified, international visual language to support (but not replace) each of the world’s spoken languages. 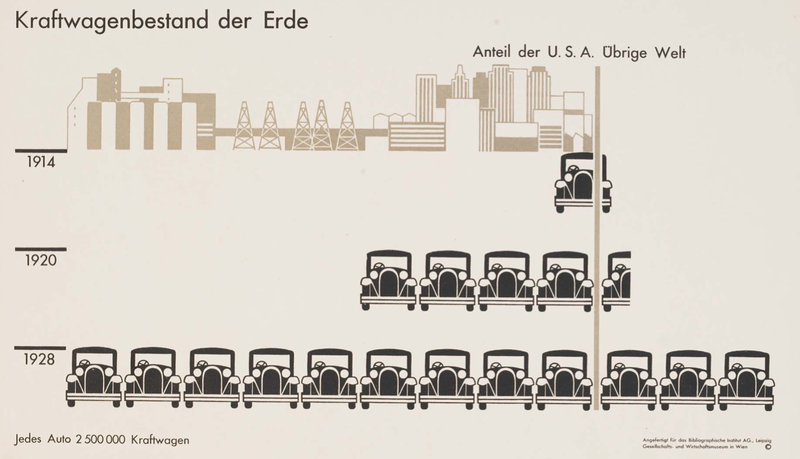 The Isotypes visual dictionary consisted of over 4000 symbols designed by Arntz. Neurath’s principles remain relevant and continue to inform the work of today’s communication designers. Interface icons are usually either a pictogram, ideogram or arbitrary symbol, representing either tool, function or navigation. A pictogram is a pictorial symbol of a word or phrase, for example an image of fire (signifier) could be used to represent fire (signified). Ideograms symbolise the idea of a thing without the literal representation, for example an image of smoke (signifier) could also be used to represent fire (signified). Arbitrary icons have no obvious link to the physical object they represent and must be learned rather than deducted. It is also important to realise that all these icons are not viewed in isolation but in the context of their environment (the interface). Context is essential in order for their meaning to be understood. The play icon first appeared on the real-to-real tape decks during the mid-1960s, sometimes with an additional triangle to represent fast-forward or rewind, with the triangles pointing in the direction the tape would wind. Play/pause symbols can now be found on any device capable of playing media and are universally used to control and represent media on-line. This symbol was designed by Susan Kare for the Apple’s early OS. In Sweden the symbol indicates a ‘noteworthy attraction’ in a campground, also known as the Gorgon loop. The USB icon was based on Neptune’s Trident, the Dreizack. The end of each point was replaced with a circle, square and triangle intended to represent the many different peripherals that could be connected using this single connection type. The word ‘icon’ today within the context of digital communication design, represents a wide variety of image types from basic monochrome favicons, to full colour photorealistic applications icons. The following defines some of the most common digital icon types. Found in browser address bars and app home screens, almost always a smaller version of the website logo. These icons can be photorealistic and represent digital applications. Icons that are used within information design or to illustrate. The user interface icon, or UI icon can symbolise a command, file, content type or devices. These icons aid navigation and highlight actions and functions.